This week sees Sarah Fielke officially launch her new book Old Quilts, New Life and I am really happy to be part of the launch (I’m a day late, but hey, it’s still November 1st somewhere in the world right?). 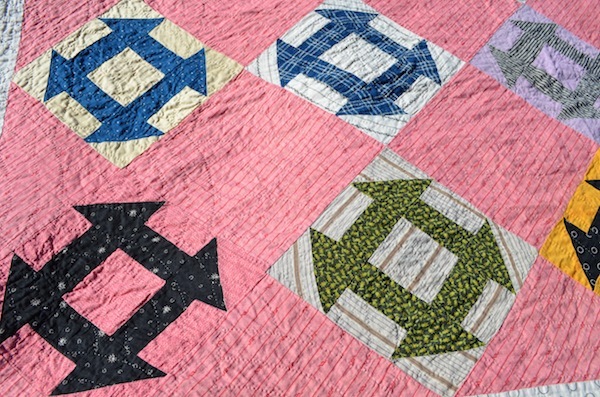 I’ve known Sarah for a while now and have followed her work for such a long time, starting with the publication of Material Obsession way back when it was hard to find quilt books with a modern twist. Immediately I knew I just HAD to bring it home (even though I could hear the groans from the Mr an ocean away “more quilts?”). It is such a simple design but something about those churn dash blocks set on point just made me fall in love right away. 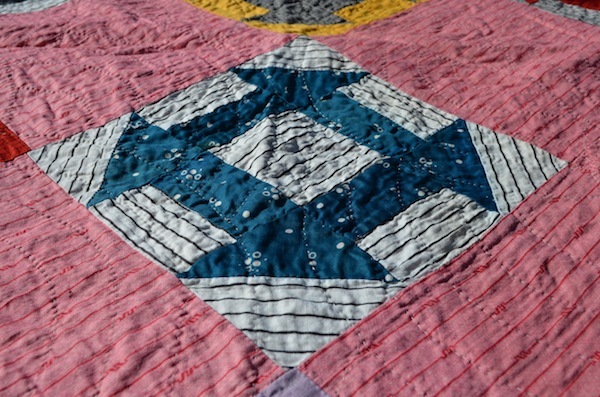 If you’re interested in old quilts, have a look on Instagram or Facebook at the tag #oldquiltsnewlife – there’s so many beauties to be found. 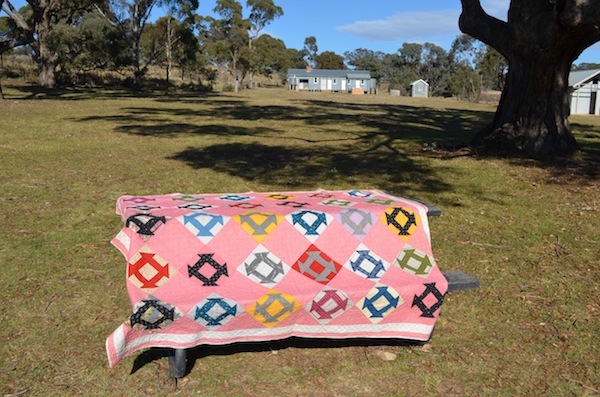 And if you have an old quilt lingering about, pull it out into the light of day and wrap yourself in the stitches of generations gone by. 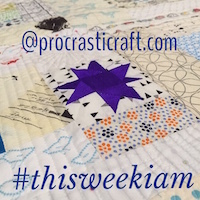 This entry was posted in quilt on November 2, 2015 by procrasticraft.